We're delighted to reveal that the Ascension A60 has been awarded a 10/10 'excellence' award in the March 2017 edition of Guitar & Bass Magazine. 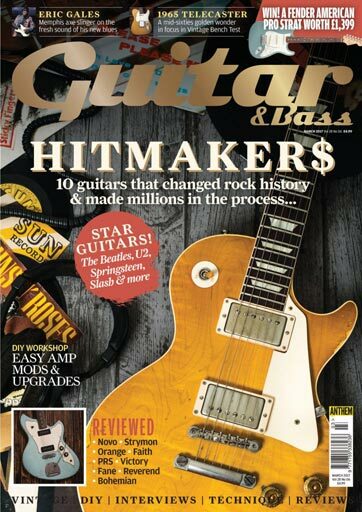 Put through its paces by senior product specialist Huw Price, the review calls the Ascension A60, Alnico, 12-Inch, 60 watt, classic voiced guitar speaker "a potential giant-killer" when it comes to tone. ...Shimmering treble? Check. Extreme touch sensitivity? Check. A tendancy to chime and jangle? Check... If you need higher power handling but crave classic alnico tone and touch dynamics, the A60 delivers on every front..."